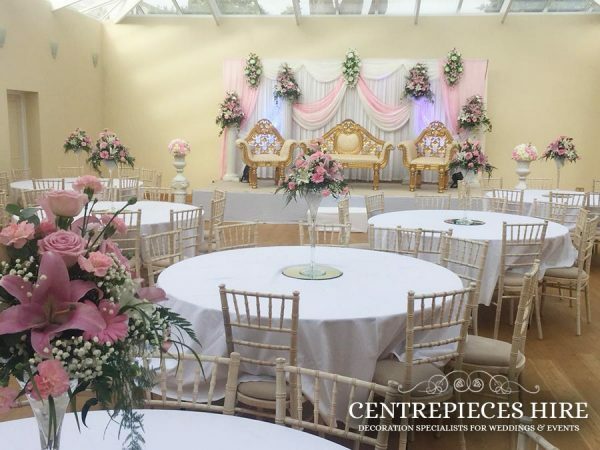 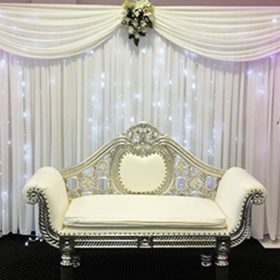 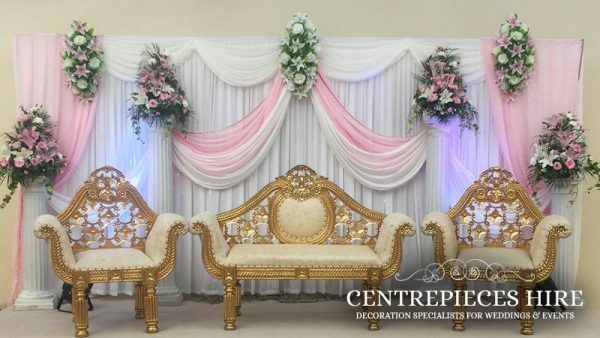 Fresh flowered themed backdrop with furniture. 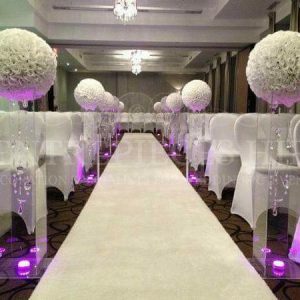 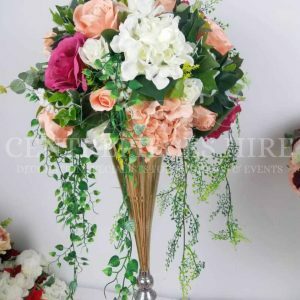 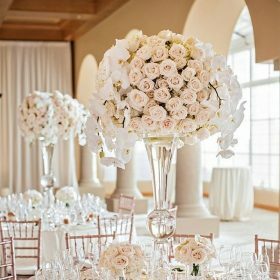 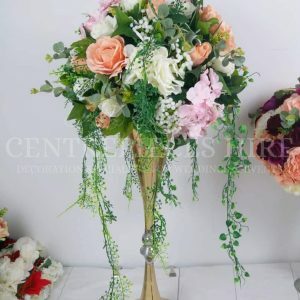 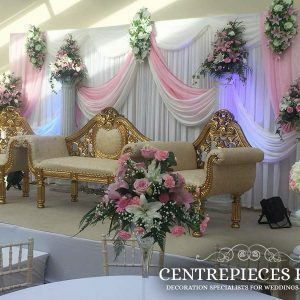 Draping colours can be matched with the flowers to give you that perfect themed look. 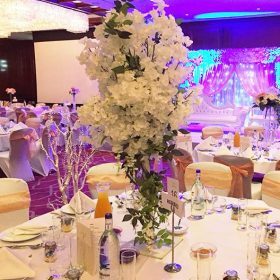 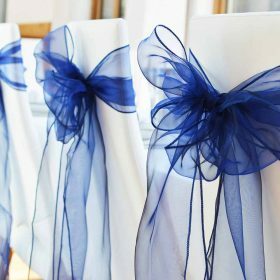 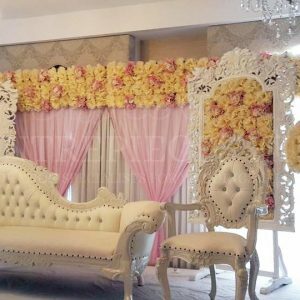 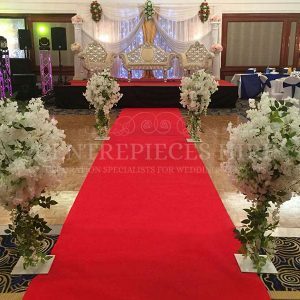 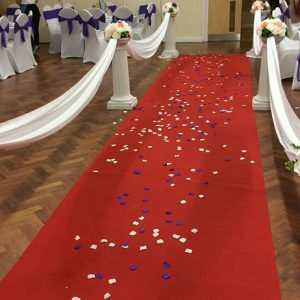 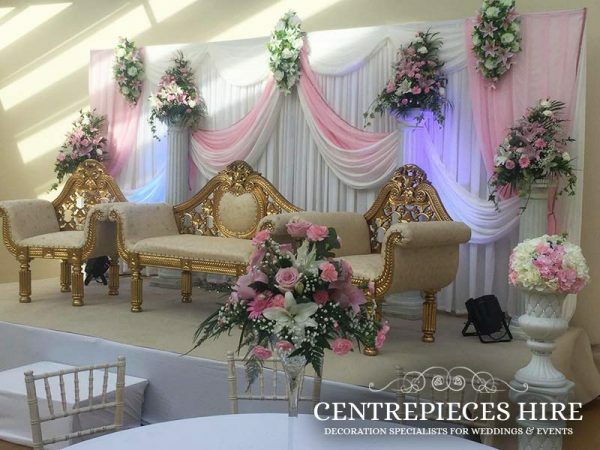 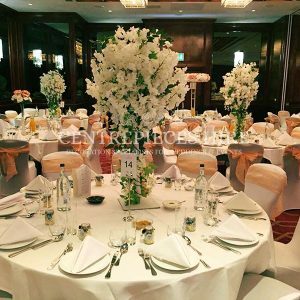 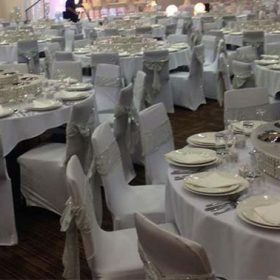 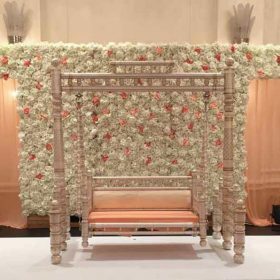 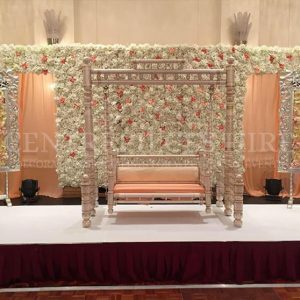 Colour theme can be adjusted to your liking, this includes personalising the backdrop draping along with the flower decor.